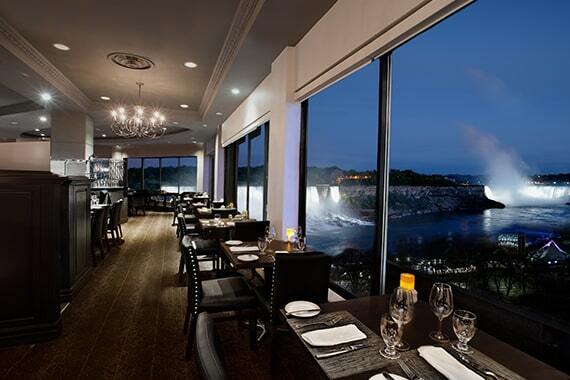 The Crowne Plaza Niagara Falls-Fallsview’s location provides guests with not only the best views of the Falls, but also endless amazing dining options. Situated across from Niagara Falls, guests are spoiled with choices that are sure to please any appetite. Everything from elegant fine dining to eclectic farm-to-table and casual fare can be found on-site. 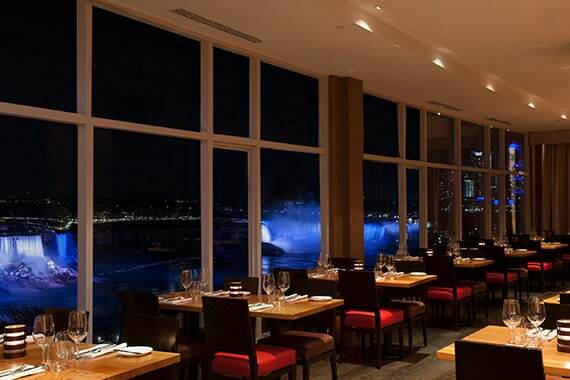 Our very own Prime Steakhouse on the tenth floor of the hotel offers stunning views of Niagara Falls from the dining room’s floor-to-ceiling windows, offering a spectacular backdrop for your next Niagara Falls dinner. Experience remarkable fine dining at Prime Steakhouse and Massimo’s Italian Fallsview Restaurant where you’ll find innovative seasonal cuisine and some of Niagara’s most extensive wine lists. Enjoy casual family-friendly meals and light snacks on the go at great destinations like Fallsview Buffet, Rainforest Cafe, Hard Rock Cafe Niagara Falls, Perkins Restaurant & Bakery, and Starbucks Cafe Niagara Falls. An inspired menu of prime steaks, fresh seafood, and other classic favourites is what makes Prime a standout on the Niagara Falls dining scene. And with hand-crafted cocktails and an extensive menu of local and international wines, Prime offers memorable Fallsview dining that’s perfectly suited to your taste. The newly-renovated Fallsview Buffet restaurant inside the Sheraton on the Falls hotel offers incredible buffet dining in direct view of the Horseshoe, American, and Bridal Veil Falls. 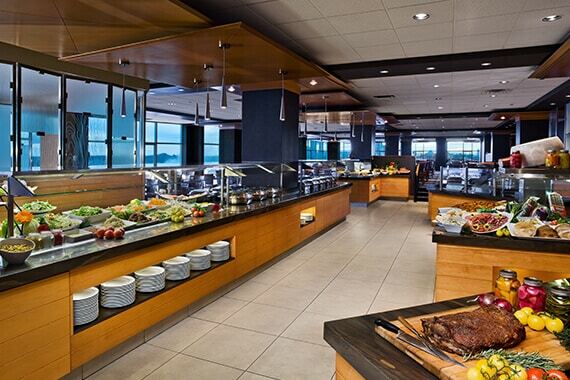 With 280 seats, floor-to-ceiling windows, and live-actions cooking stations, Fallsview Buffet connects guests with some of the most spectacular breakfast, lunch, and dinner experiences in Niagara Falls. 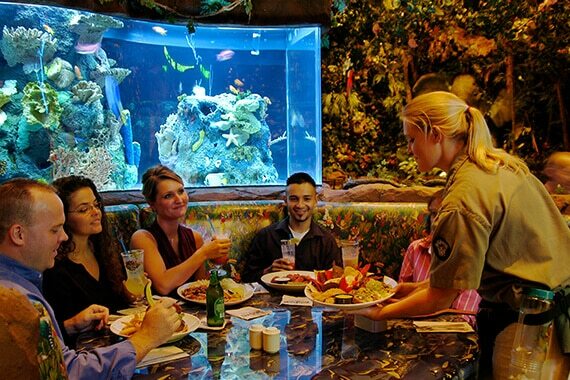 The Rainforest Cafe on Falls Avenue Resort is Niagara’s ultimate themed dining destination, offering guests exotic rainforest decor and family favourite menu items just steps from the Horseshoe Falls. And with animatronic animals, a live shark tank, and an indoor thunderstorm happening every half hour, it’s one of the most unique and exciting family restaurants in all of Niagara Falls. 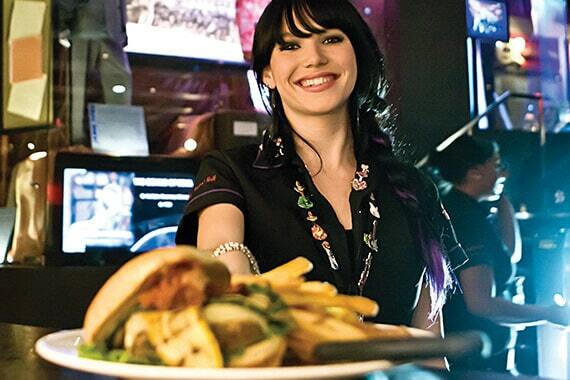 The world-famous Hard Rock Cafe has set up shop in Niagara Falls, Canada, offering enticing tex-mex inspired dishes in a dining room filled with more than four decades of rock n’ roll memorabilia. And after your meal, you can check out the Hard Rock’s street-level boutique where you’ll find signature t-shirts, pins, and special merchandise. 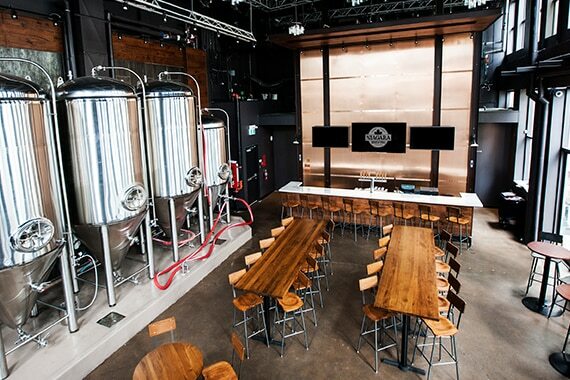 Niagara Brewing Company is an innovative craft brewery located just a short walk away from the Horseshoe Falls. Offering unique brews, delicious food, and a laid back atmosphere, it’s the perfect place hang out with friends while in Niagara Falls. Centrally located on Falls Avenue Resort, Perkins Restaurant & Bakery offers guests of the Crowne Plaza Fallsview a delicious all-day breakfast or classic full menu choices for lunch and dinner. 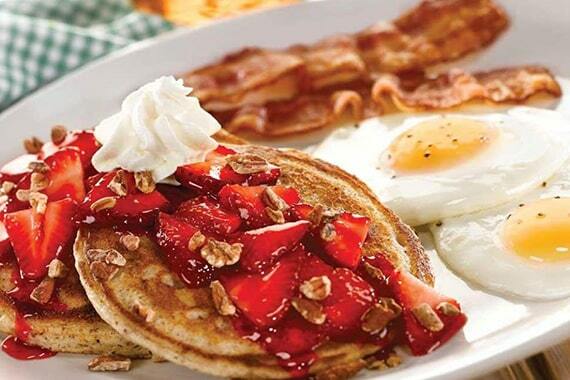 Perkins also offers a children’s menu and has something for everyone to eat and enjoy. Freshii is one of Niagara’s most exciting and innovative healthy eating destinations, offering a diverse and customizable menu of nutritious items like salads, wraps, smoothies, juices, soups, bowls, and burritos. 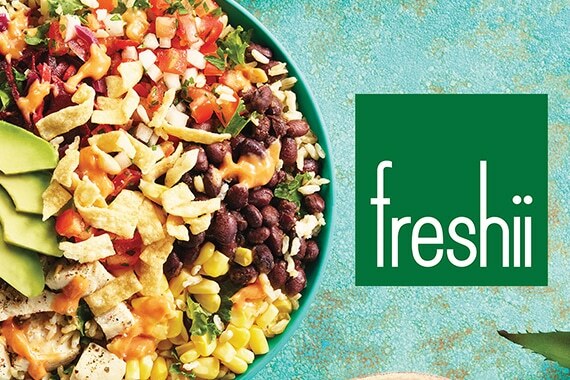 Located inside the lobby of the Sheraton on the Falls hotel, Freshii is the place to go for nutritious and delicious food that will help you keep your healthy eating routine on track while visiting Niagara Falls. 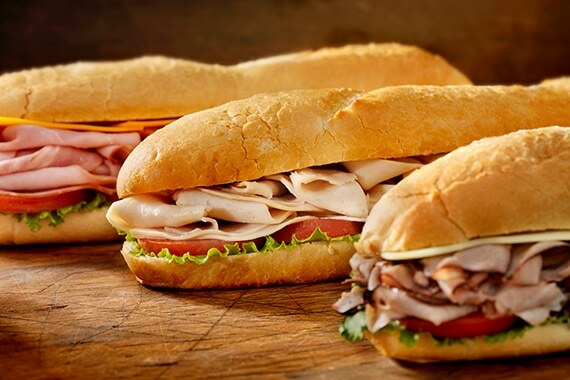 For a casual coffee break or light snack on the go, Starbucks Cafe has just the thing you’re looking for. 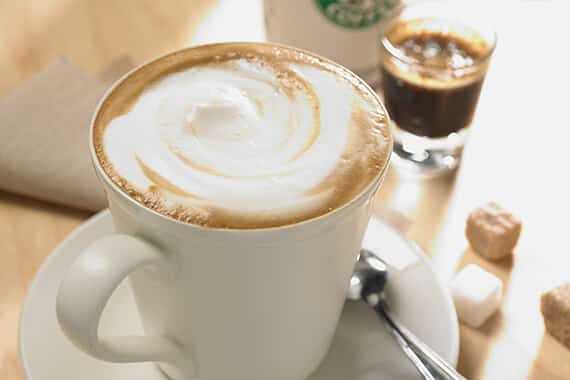 Located in the lower lobby of the Crowne Plaza Fallsview, Starbucks offers a wide assortment of specialty coffee and tea alongside delicious baked goods and snacks. 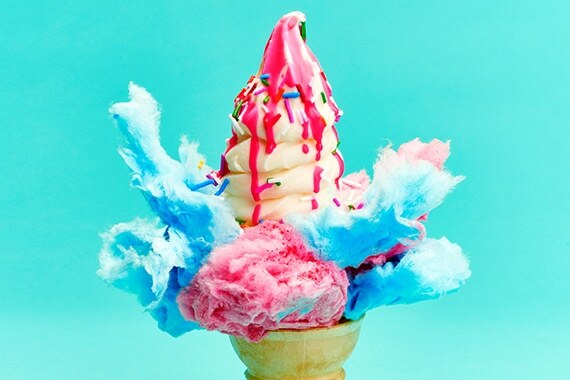 Sweet Jesus uses only the highest quality ingredients to make our soft serve ice cream delights something that tastes and looks unlike anything you’ve ever seen or experienced before. 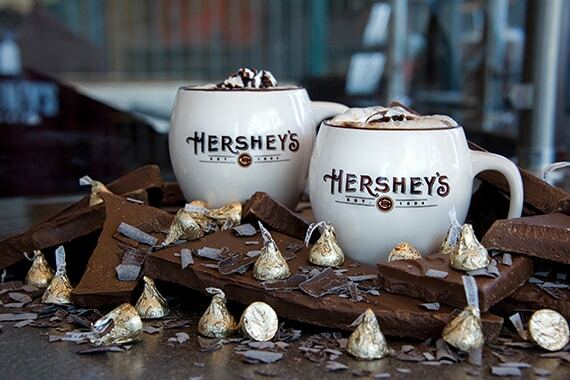 Heavenly!